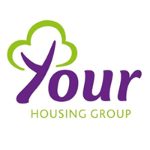 Your Housing Group Is A New Generation Of Housing Provider. With A Pioneering, Creative Workforce, We Are Working Efficiently And Effectively To Build As Many Quality Houses As Possible To Play Our Part In Solving The National Housing Crisis. With More Than 28,000 Homes Across The North West, Yorkshire And The Midlands, The Business Has A Large And Diverse Portfolio. These range from general properties for social and affordable rent, through to retirement living developments and innovative private rental offers such as Hive. Widely regarded for its expertise in regeneration, Your Housing Group prides itself on providing homes which help people to live independently and on enabling people to get on and off the property ladder at different stages of their lives. With a pioneering, creative workforce, we are working efficiently and effectively to build as many quality homes as possible to play our part in solving the national housing crisis.